Take your taste buds on an unforgettable journey as you are introduced to over 120 NY State craft beverage producers, local food vendors, and crafters with the beauty of Lake George as your backdrop! The 5th Annual Adirondack Wine & Food Festival is returning to Lake George and you won’t want to miss it! The Festival will showcase some of the best wineries, breweries, distilleries, local artisanal food vendors, and food trucks the region has to offer. 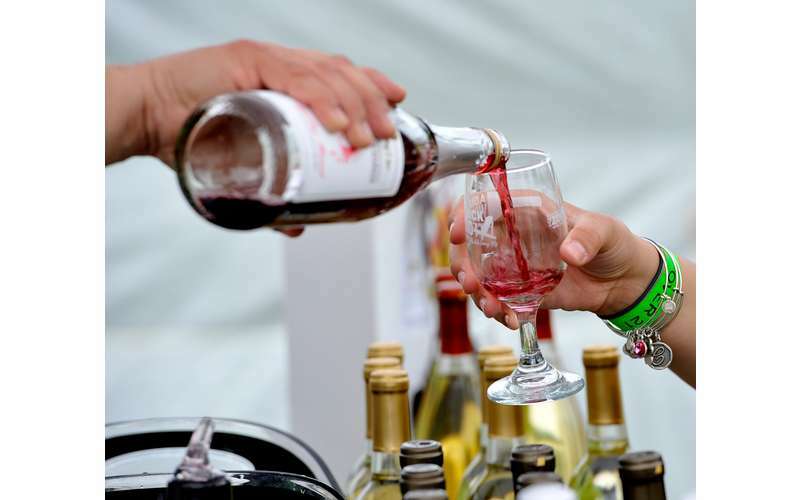 2019 ADK Wine Fest tickets are on sale now! Save big while you can! With admission, you’ll receive a commemorative wine glass to be used throughout the event to sample craft beverages! As a designated NY Farmer’s Market, the Festival offers the perfect opportunity to try before you buy. Whether it’s your new-found favorite bottle of chardonnay, cheddar cheese, or chocolate fudge… each vendor will have their products available for you to purchase and take home with you; made even easier if you utilize our popular Purchase Drop-Off / Pick-Up service! The Chef William Creations Culinary Tent, sponsored by Marcella’s Appliance, will feature cooking demonstrations performed by Finger Lakes Celebrity Chef William Cornelius and special guests all weekend long. The Chef will be utilizing his proprietary sauces, local foods and craft beverages in his recipes, as well as providing wine pairing suggestions. Also under the Culinary Tent all weekend, local bartenders will demonstrate unique Wine Cocktail recipes opposite the culinary demos, mixing new concoctions from wines and liquors available for purchase at the festival! Additionally, Marcella’s Appliance will be adjacent to the culinary tent, smoking meats on Big Green Egg Grills both days of the festival, ending with a “fest taste test” of these delicious meats… is your mouth watering yet?! This year, Big Brothers Big Sisters of the Southern Adirondacks is the Official Festival Beneficiary. Their volunteers will be on hand making sure the festival runs smoothly, including roaming the space with ample bottles of water to keep everyone hydrated. Children and families are welcome to attend the Festival (kids ages 15 and under are free) and a Kids' Activity Tent (sponsored by The Fun Spot) will be available on-site.